Minsk has some interesting and cool places to offer for kids including ones that the whole family will enjoy. So don’t hesitate to bring your kids with you to explore the Belarusian capital. Just keep in mind that public transportation can be a bit of a challenge for pushchairs and strollers. There are many stairs to climb and not all metros and ground crossings have a lift. The Children’s Railroad Museum is located in the centre of Minsk. Its length is 4.5 km. Your trip will start and finish at Zaslonava Station near Chelyuskin Park with one stop at Sasnovy Bor Station where you can get off and take a walk in the Magic Forest. While visiting you can hop on a special carriage with animators who will entertain your kids all the way. 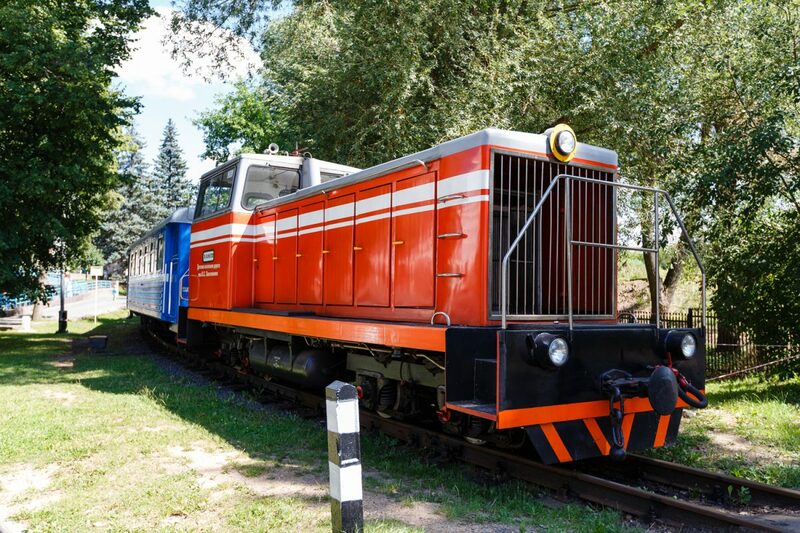 The Children’s Railway in Minsk runs from May to September. Minsk Sea. Ok this is not really a sea, it’s just called this because it does really look like the sea. Locals play beach volleyball on the shore, barbeque, and just relax. There is also a boat station at the pier, where it is possible to rent a boat. 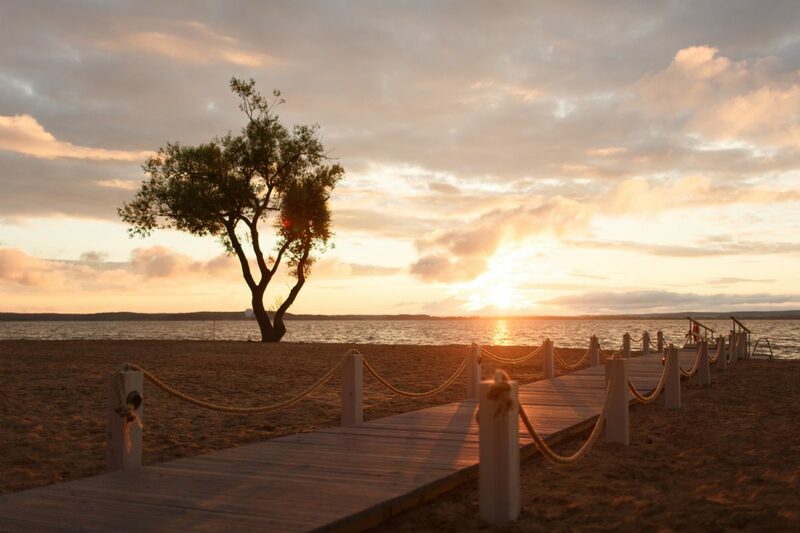 It is 10 km away from the city, so you will need a car or take a train to Maladzechna and get off at ‘Minskae Mora’ stop to reach this beautiful place. Gorky Park. 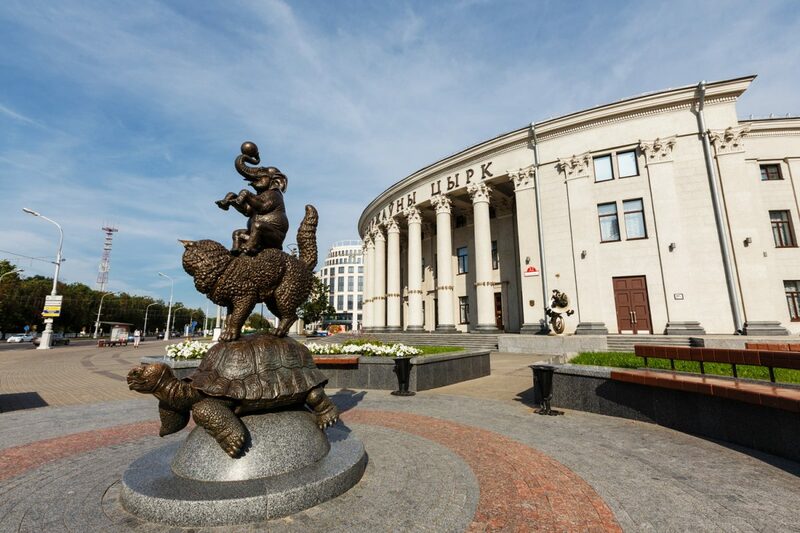 What to do in Minsk with kids? 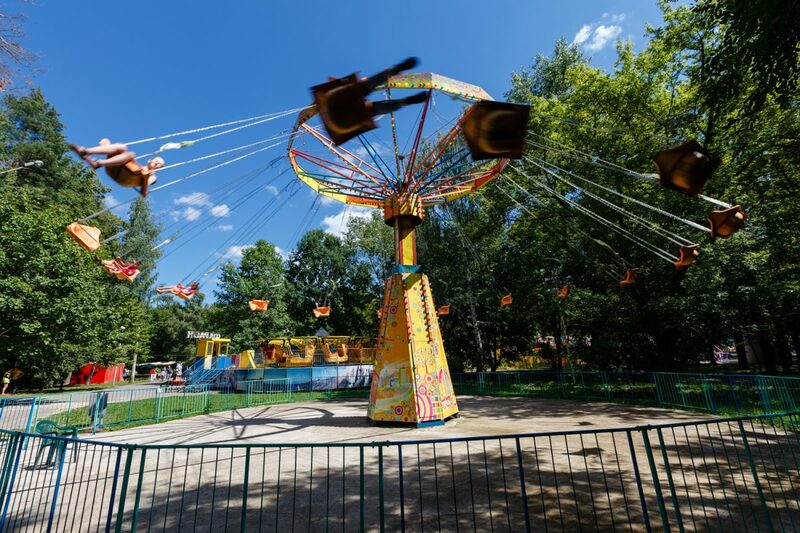 Go to a family park with children’s attractions like rollercoasters, carousels, and trampolines! Also the highest Ferris Wheel (54m) in Belarus which offers a pretty nice view of Minsk! What else do you need on a sunny day in Minsk? The park is big, clean, and interactive, so lots to discover during your family vacations. There are many small kiosks offering all kinds of sweets and bigger restaurants for when you want a bit more to eat. 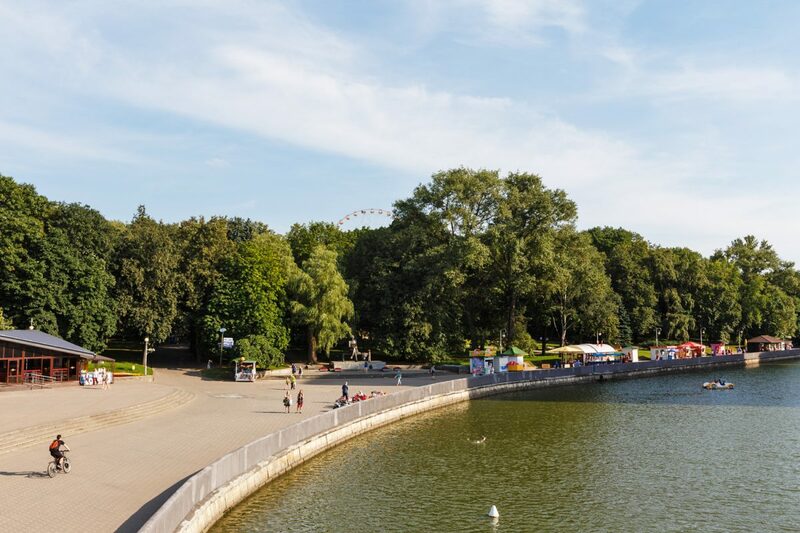 Caliuskincau Park: Another beautiful and quiet park located in the centre of Minsk near the Botanical Gardens and the Children’s Railway Museum. There are about 20 attractions in the park, including a 28-metre high Ferris Wheel and a 5D cinema. A real family escape from the big city. Biking in Minsk! 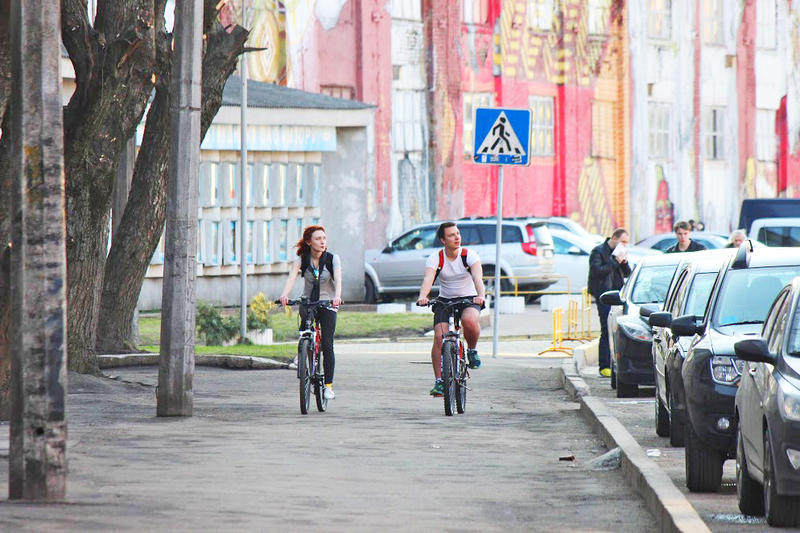 For active families who are eager to discover Minsk in a faster pace we would recommend to rent a bike. There is a pretty long (27km) and safe bike lane crossing almost the entire city from the northwest to the southeast (from the Drozdy Reservoir to the Chizhovskoye Reservoir). You can rent a bike near the Svisloch River in the Naimiha District. Enjoy the ride! 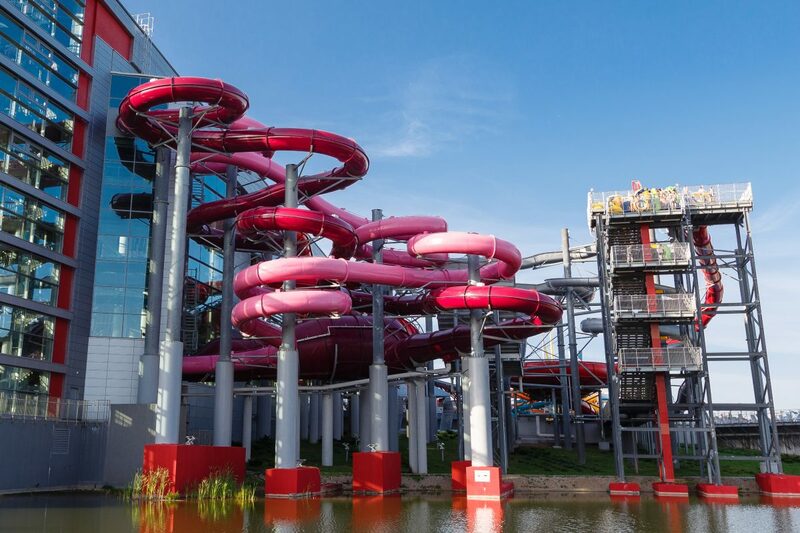 Lebyazhy Waterpark: for everyone who is fan of waterslides, swimming, and splashing! In summer, visitors can swim here and slide down the four outdoor slides. Inside there are pools for children and adults, seven slides, and a Spa zone. Ice Skating. No matter how warm or cold it is, it’s never too cold or warm to skip the ice skating experience! It is also a good way to meet locals. Minsk has several good ice skating rinks to offer. Outdoor: the Nemiga ice kating rink at Praspekt Pieramozcau (only open in the winter). Indoor: Minsk Arena ice skating stadium: a big stadium for ice skating lovers. It’s located rather far from the city centre however, it’s easy to reach – just take bus 100 from Nezalezhnasci Square to Minsk-Arena or you can go by car. Indoor: Shopping centre Zamok. The shopping centre is huge with many shops, restaurants, cinema, and on the top floor a decent ice skating rink! 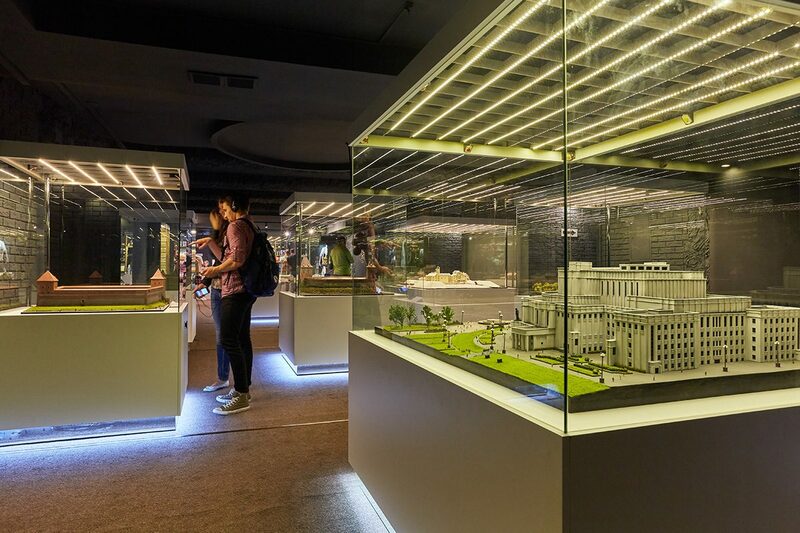 Strana Mini Museum. Minsk in miniature! In a very interactive way you will learn about Belarusian history, architecture, and our legends! It is a great way to get a good overview of what Minsk is all about and become an actor in its history. Apart from the main exhibit, there is also a re-creation of a traditional Belarusian household, where guests can take pictures. There is also a gift shop, café, and workshops for children. Watch a movie. There is only one cinema that shows English movies – it’s Silver Screen. It has two locations: Babrujskaja, 6 (on the top floor of Galileo shopping mall) and Pieramozcau Avenue, 84 (Arena City shopping mall) and Piatra Mscislaŭca Street, 11 (Dana Mall). Circus Show. For families who are into the circus, we recommend you see a circus show at the beautiful Opera looking circus building. The tickets are cheap and shows are of decent quality. Only warning is that there are animals involved who do things you might have never seen, like a bear walking like a human or monkeys riding a bike. So check before what show it is if you are sensitive to these things. Minsk Water Park Liebiaziy (“Лебяжий”) (Pieramozcau Ave., 120). The Glass Labyrinth in Tivali Mall (Prytyckaha St., 29). The Laser Tag Arena in TOP Shopping Mall (Burdziejnaha St., 6B). Playroom where parents can work/relax a bit and your kid/s will be next door playing and watched by a babysitter! Time-Club Semeyniy Dvorik (‘Family patio’ in translation) (Pieramozcau Ave., 27, room 359).